The internet is full of motivational quotes, posters, memes, books, podcasts etc. In a variety of words and phrases they express encouragement of the amazing things you can do to change your life, what you can achieve if you set your mind to it, how you are capable of more than you ever thought possible. The difference is subtle, but significant. Satan will use a large amount of truth if he can slip in one, subtle but significant, deception. We have been told that we are of unlimited potential, just as the motivational quotes suggest, but the difference is in where that unlimited potential comes from. We, ourselves, are do not have unlimited potential. We, in our mortal bodies in this earthly life, by nature are limited. We can achieve astounding success in many different ways, but when we only rely on ourselves to achieve we are limited to what is possible on this earth and with our own abilities. Our faith should not be placed in ourselves and our abilities, but should be placed in our Heavenly Father and his abilities. If we add a companionship with Christ and utilize his gift of the atonement our limits are broken. Our success is no longer limited to ways that are measured by man, but expanded to the ways that are measured by God. Because of the sacrifice of Christ, the redemption of sin, grace, and all the other enabling and strengthening aspects of the atonement our potential expands greater than our ability to understand. Yea, I know that I am nothing; as to my strength I am weak; therefore I will not boast of myself, but I will boast of my God, for in his strength I can do all things; yea, behold, many mighty miracles we have wrought in this land for which we will praise his name forever. In our effort to rely on Christ for our strength, we also need to be careful of not going to the other extreme. He will not do all for us. He will not save us just because we asked. It is required that we are an active participant in our own salvation. I have grown to realize what a blessing it truly is to have the opportunity to be able to, in a very small measure, be a part of my redemption. Years ago I was in the Young Women’s presidency in my ward. It wasn’t the most affluent ward and so we did a fundraiser so to pay for girls camp. Our fundraiser was such a success that we could completely cover the cost of camp and we didn’t need to require any of the girls or families to pay. It was free! We were so excited to be able to make it possible for all of our girls to go to camp. You know what happened? Since they didn’t understand what it costs to go to camp a good portion of them didn’t even come to camp. They weren’t invested in camp. The reward of attending camp didn’t mean anything to them. We, to a very small degree, have the opportunity to understand how much it costs to return to live with our Heavenly Father. Because of what we are allowed to suffer, because of the efforts that is required of us to activate the saving grace of the atonement in our lives, when we see our Heavenly Father and we get to live with him forever we will have a better understanding of what a blessing and a privilege it is to be there. Because we are allowed to suffer, just a tiny bit, of what the Savor did we are given just a piece of understanding of how great his sacrifice for us was. Because of our tiny contribution we are able to feel gratitude and love for our Savior. 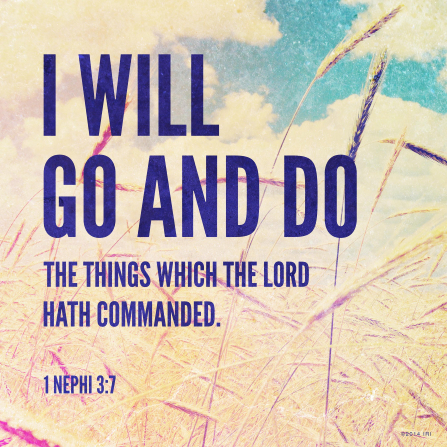 I am so grateful that Christ allows me to be his companion to work towards the common goal of my salvation. I say companion not because I think we are equal, but because I know that in his love for me he allows me to help him just as a small boy helps his father fix things around the house. I, with the help and guidance of my brother and friend Jesus Christ, can achieve any righteous pursuit and any righteous goal. 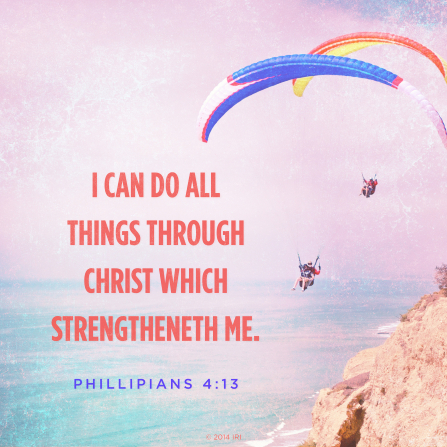 I can truly do all things through Christ.